Skills Training UK in collaboration with the British Institute of Non-Destructive Testing (BINDT) have developed a new apprenticeship scheme dedicated to NDT, intended to improve standards and reduce the growing skills shortage within the wider NDT industry. The new scheme offers Ofqual Level 2 NDT Operator and Ofqual Level 3 NDT Engineering Technician apprenticeship training. 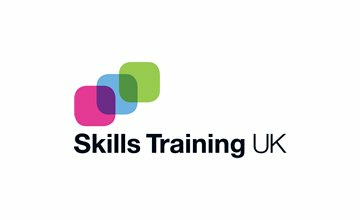 Skills Training UK has helped over 250,000 people over the last 25 years, supported economic growth and has help create an environment which fosters sustainable employment. With a particular focus on science and technology, Skills Training UK has now become a BINDT as a Corporate Member to work closer with other industry bodies. Global NDT training provider Lavender International is subcontracted to deliver the specialist elements of the new Skills Training UK apprenticeships. Johnson & Allen welcome this this initiative and believe the UK needs to continue to adapt to changes and advancements in the global NDT sector with the help of programs like the ones Skills Training UK is offering. We believe the UK’s status as a global leader in the aerospace for example can only be maintained by nurturing the skill sets it requires.